The world is hooked on ‘Palladium’ because of its uses as an industrial metal and catalyst, the consumers are mainly automobile producers as it’s widely used in gasoline-based engine cars to curb harmful emissions from vehicles. Palladium surged +34% this year on expectations that supply will lag demand for a sixth straight year, beating the rest of commodities, combined with last year gains it results in an impressive 95% rally. The spot markets are trading above the futures market as it appears that there is a serious shortage of readily available physical bars for spot settlement, which helped the metal to make new 16-year high level of $910 on Friday, June 9. The futures for July expiration touched the peak of $891 the same day. The recent break higher opened a new extension to the upside as palladium is now showing incomplete bullish 5 swing sequence from 2003 low, which is different from the usual Elliott Wave count as this sequence is part of the double three structure which suggest that a connector is in place between 2011 & 2016 as a flat correction and the 6th swing pullback should hold 2016 low for palladium to be able to resume it’s rally toward the next target around $1170 – $1340. The surprise move would happen if it’s doing a diagonal and currently is in the last 5th wave or the recent new high rally from 2016 lows is part of a flat from 2011 peak, so both these scenarios would result in a significant decline but until there is a sign of 2016 pivot breaking then the metal should remain supported and leading the commodities to the upside. To compare Palladium to commodities, we added The WisdomTree Continuous Commodity Index Fund (GCC) and The Thomson Reuters/Jefferies CRB Index (TRJEFFCRB) as both are tracking multiple commodities and reflecting the overall trend which has been to the downside since 2011 peak. GCC index has already reached extreme area from 2008 & 2011 peaks suggesting that the bearish cycle is in the last stage even there could be still another leg lower in CRB & GCC which may or may not break the 2016 low. In fact that won’t make any big difference for Palladium as it already created enough separation from 2016 low, so it will be either doing a small correction against May 2017 low or a deeper pullback to correct 2016 cycle before rallying again. The next graph represents the performance of the platinum-palladium & gold-palladium ratio, a measurement of the number of palladium ounces it takes to buy a single ounce of platinum & gold. Palladium is now almost as expensive as its brother metal platinum for the first time since 2001 as the ratio is near parity and ready to break lower in the near future. The gold-palladium ratio is also catching the move lower and could reach parity if the strong rally in Palladium continues. The fundamentals of the palladium market seems to be among the strongest in all the commodities and the recent technical break higher is bringing more bulls to join the rally, so while the metal holds above last year low then it should rise again to make new all time highs above $1100, surpass Platinum and try to catch Gold. The expected move to the upside will support the whole commodity markets so during the short term pullback of palladium, other instrument will either establish new lows or retest the previous one before the entire sector starts rallying again. If you enjoyed this article, feel free to read other posts in our Technical Blog. For more information on using Elliott Wave theory to trade forex, indices, commodities and stocks, take this opportunity and Try our services 14 days for FREE. 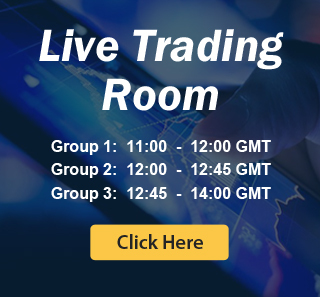 You will get access to our 52 instruments updated in 4 different time frames, Live Trading Room and 2 Live Analysis Session done by our Expert Analysts every day, 24-hour chat room support and much more.